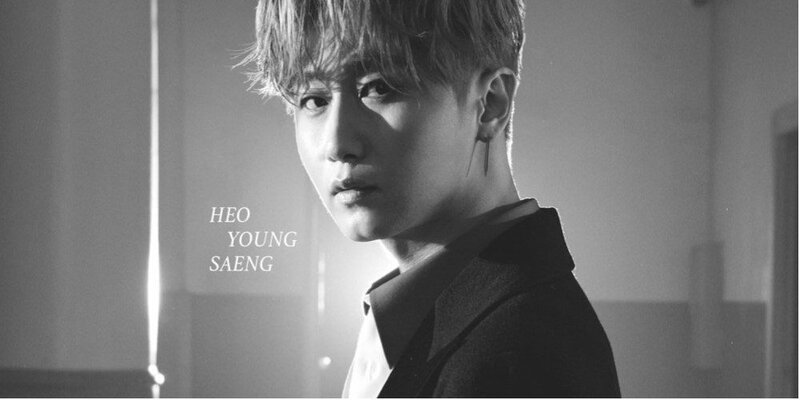 [Interview] Heo Young Saeng answers your questions on SS501's comeback, favorite rookie group, and more! Heo Young Saeng is here with the answers to your questions! Heo Young Saeng took the time to look over your interesting questions and now he's here with the interesting answers! Listen to Heo Young Saeng's 'Destiny' on Spotify. Check out what Heo Young Saeng has to say and see if your questions were answered! The album only has two songs so it's hard for me to choose. Both songs are different genres so I think they each have a charm of their own. I think I get inspired by the weather the most. On a sunny day, I write bright songs and on rainy or cloudy days, I tend to write depressing songs. I want to go perform wherever it may be if there are fans who love my music and me. I save everyone's number by their full names. It's saved as Kim Hyun Joong, Kim Kyu Jong, Park Jung Min, and Kim Hyung Joon. Someone who I can easily talk to. Girl group Oh My Girl...�Their songs are great and the members are cute and refreshing. My new song "Destiny" and "Fly Away", Justin Bieber's "Love Yourself", Heize's "You, Clouds, Rain", and Ailee's "I Will Go To You Like the First Snow". Europe is the place I want to travel the most. I would be extremely happy if given the chance to perform there. And I really want to watch Real Madrid soccer game at Santiago Bernabeu�Stadium someday! I am so sorry for making you guys wait for a long time. And I appreciate how you guys waited for me. I will try hard to become artist Heo Young Saeng who presents good�music. Please give me lots of support! No matter where in the world, I'll be there if there's someone listening to my music. Fighting!!! Thank you to Lily at Sony Music Korea for setting up the interview.